Your products are unpasteurised, are they safe to eat? Yes, absolutely. Pasteurisation is designed to kill of any harmful bacteria and prolong shelf life, but the flip side of this is that it often also destroys the valuable nutrients contained within the food. This is especially true for the live beneficial bacteria, as they are very sensitive to heat. We use a natural preservation method that promotes the growth of safe, healthy bacteria. When eaten these beneficial bacteria or probiotics are transported into gut and help improve your gut flora, which plays a huge role in your overall wellbeing. Why are you feeding me bacteria? Our understanding of the Microbiome (our unique delicate bacterial ecosystem housed in the gut and on our skin, in our mouths, etc) has improved immensely in recent years and believe it or not, but you are more bacteria than you probably realize. 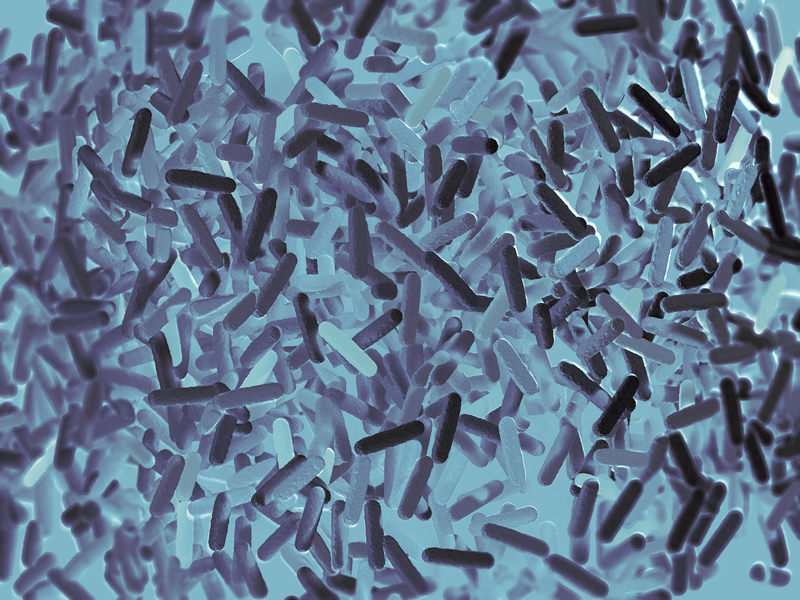 Our gut contains trillions of bacterial cells. In fact scientists have found that bacteria outnumber our own human cells by 10 to 1. Unfortunately with the industrial revolution, the rise of highly processed artificial foods and the over-subscription of antibiotics to us as by GP’s, we have done our best to destroy this once thriving ecosystem. The negative knock on affect of this is massive – our gut plays a major role in regulating mood, behaviour, energy, immune function and hormone levels and more seriously, can lead to weight gain, diabetes and promote the growth of cancerous cells. By eating foods containing good bacteria, you are helping to restore balance to the gut and make yourself more robust and resistant to all those nasty things mentioned. Are your ferments the same as pickles? No. For the most part, pickles are preserved in vinegar, but this compromises the health qualities of the product. Even though our ferments have that sharp, vinegary tang, no vinegar is used whatsoever. All that’s in our Ferments are fresh, raw vegetables, a little bit of fruit (depending which one you bought) and some herbs, spices and pink Himalayan salt. The salt draws the water out of the veggies, which makes the brine that your kraut is then fermented in. Lactobacillus bacteria under the microscope. These are present in huge numbers in our ferments and when consumed, can populate the gut and improve digestive health & boost energy levels & mood, can help with weight loss, increase detoxification, they help fight inflammation and boost immunity. My Ferments hiss or fizz a bit when I open them, is this ok? Absolutely, it is a sign that the beneficial bacteria are alive and well and are ready to flood your gut with goodness. How long can my Ferment be left out of the fridge? It will be fine for a few hours (2-3), but try and get it into the fridge as soon as possible. Fermentation will continue at room temperature, which could change the way it tastes, the texture and the nutrient quantity. It could even cause the jar to leak and possibly in extreme cases crack or explode. Once open, how long will my Ferment keep for? Why are my Ferments crunchy sometimes and softer others? 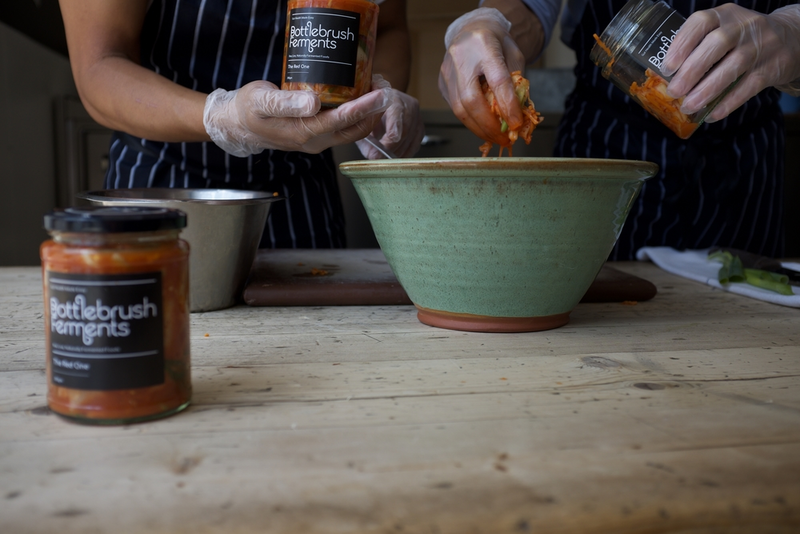 We aim for consistency with every batch and follow a set procedure with very specific quantities and time frames, but as this is a hand made product using a natural fermentation process made from raw organic produce, things like seasonality, temperature, when the produce was harvested, how much rainfall it was exposed to, etc all have a direct bearing on the make up of that produce. This in turn has an impact on the final product. Can I cook my Ferments? As this is a raw, unpasteurized product, we don’t recommend it. Probiotics are incredibly heat sensitive, so cooking your kraut will most likely destroy all the beneficial bacteria. Can I eat too much Fermented food? As with anything in life, you can have too much of a good thing. If you are new to fermented foods, we recommend you start slowly – a spoonful here and there with meals or snacks and build up slowly. Some people report some mild digestive activity after eating live probiotic foods. This is most likely due to what is known as the die off effect, where bad bacteria are being killed off by the good bacteria and a by product of this is a sensation similar to mild wind, gas or as a good friend of ours calls it “Bubble guts”.